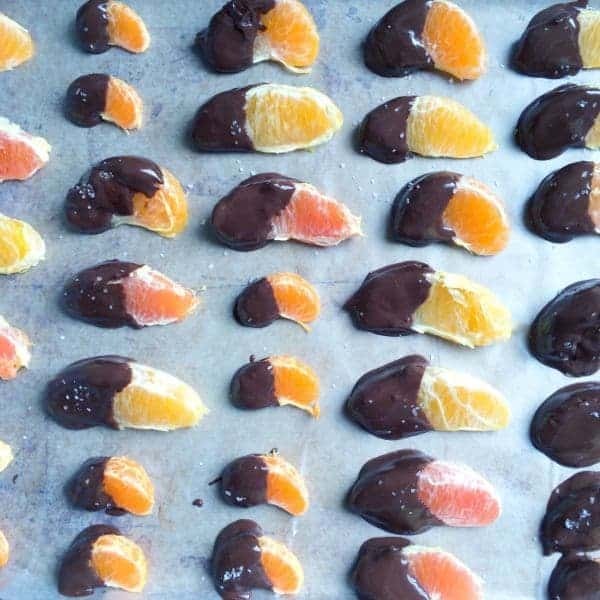 Banana slices are dipped in melted dark chocolate then sprinkled with sea salt before being frozen until firm. An easy, kid-friendly dessert recipe. Dessert isn’t something I crave regularly but when I do, it better have chocolate. 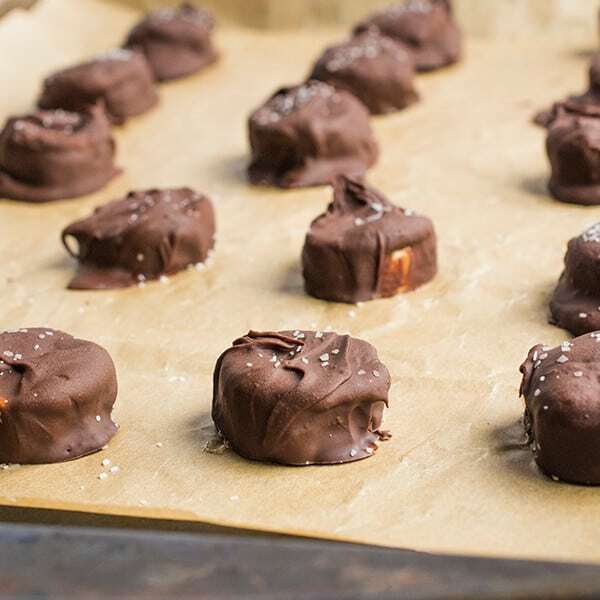 Since my boys are both in that phase of always wanting to help in the kitchen, these Chocolate Covered Frozen Banana Bites were super fun to make. The best part? They require no crazy, in-depth recipe or cook time You simply melt dark chocolate (or milk chocolate if you prefer!) over a double boiler and dunk the banana slices until coated. Before popping them in the freezer, I like to sprinkle on a pinch of sea salt. 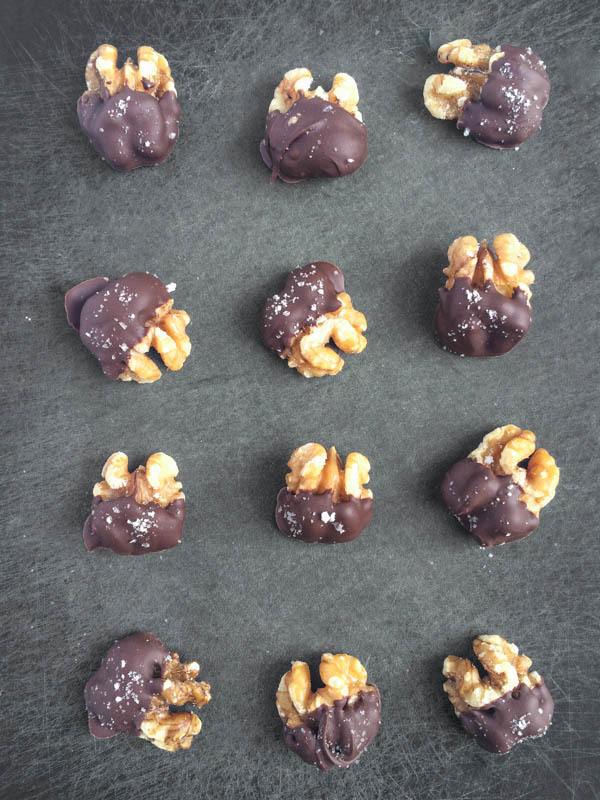 The saltiness balances perfectly with the sweet bananas and creamy dark chocolate. The best part? Five pieces have less than 200 calories! The perfect healthy dessert that kids of all ages can enjoy. Melt chocolate chips over a double broiler until smooth and creamy; remove from heat. 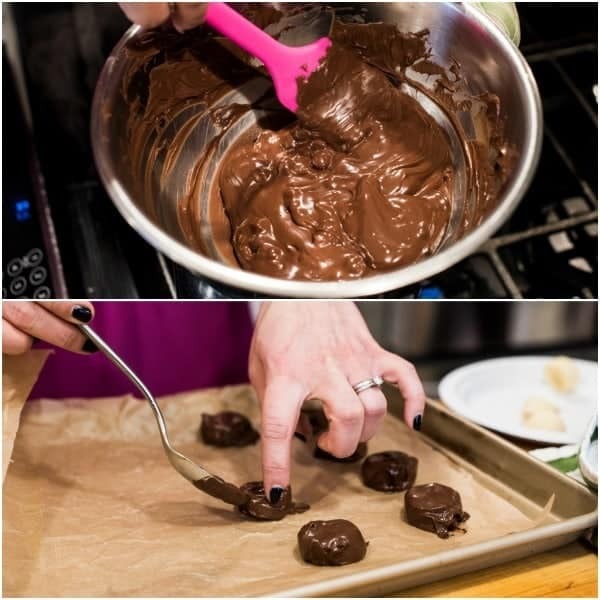 Using a spoon, carefully dip each banana slice in the chocolate and rotate until evenly coated. Place on the prepared baking sheet and sprinkle with sea salt. Repeat with all banana slices. Freeze until firm, a minimum of two hours. Serve chilled or store in an air-tight container in the freezer for up to one month. Check out my Pinterest board for more great recipes like this! Simple and delicious. I love this! Yes exactly!!! I hope you love it! These are genius! I am making them for Easter dessert. Thanks for the inspiration; they’re beautiful…and so are you! Let me know how they turn out! Thank you so much!! So simple and so smart! Such a great idea for a little treat. LOVE this! The perfect fix for late night sweets cravings that won’t totally break my good behavior!